devouring J.K Rowling’s Harry Potter books. They are sheer genius and I know, I know, how on earth have I not read them sooner?! Having read the whole series I really feel like I need to discuss it with someone and since most of the people I know just haven’t read them (yes people in my actual life, I’m looking at you), I’m turning to the wonderful blogging community. 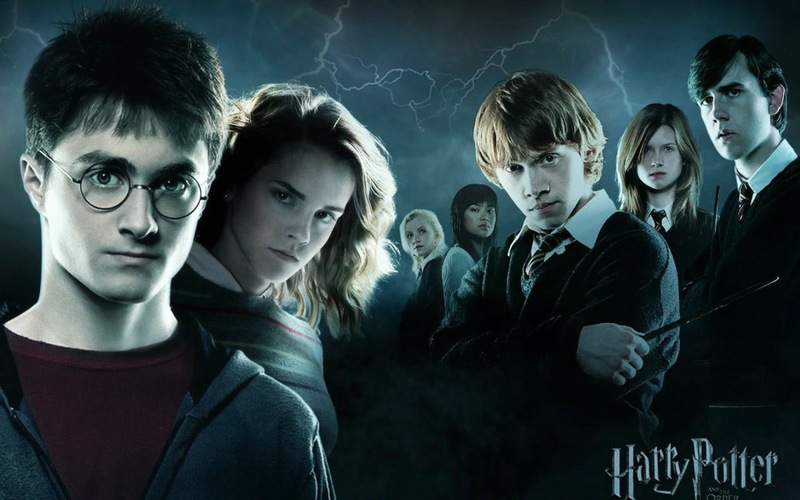 So here are some of my thoughts, gripes and rants on Harry Potter..oh I should also mention that I haven’t watched the films (yet!) so these are all based purely on the books. There might be spoilers too. You have been warned. So first of all, the first thing I need to get off my chest is that my favourite character of the series was not Harry, it was in fact Neville Longbottom. Isn’t he just bloody brilliant?? Why do I think he desrves a book series to himself? Well,first of all he had suffered just as harry had growing up, I mean I get that he didn’t have to go and live with The Dursleys and be subject to…well child abuse but still, he didn’t have parents to look after him just the same. One of the things I also loved about Neville was that despite his anxious personality, he continued to fight despite not knowing whether harry would return to Hogwarts. He kept the DA going and used the coins to keep everyone else in the loop, whilst Harry just cared about himself. Even when he had so much support and people willing to lay down their lives to assist him. He wanted to do it all by himself. I get that Dumbledore had him swear to secrecy but Harry does come across as self centred a lot. around all over the place. I know there’s nothing like a good swear word to dramatacise things but still, I found it odd for them to be featured in a children’s book. an amazing godparent after everything he went through? Oh wait, there’s that self-centred side coming out again. Dumbledore – need I say any more?? I was absolutely devastated that he died! The ending of the book sort of helped me come to terms with it as I guess I understood why but still. Let me just set the scenary for you, I was commuting home from work whilst reading book 6 and I was in such utter dismay that I gasped out loud. Pretty sure most of the train carriage thought I was a few sandwiches short of a picnic! Lupin – I’m not quite sure what to make of Lupin’s character. The way his character developed was as though it was going backwards. It made no sense that Lupin would ask Harry if he could join him and leave behind Tonks. Nor did I find it plausible that Lupin went back and then forgave Harry for his (very disrespectful, if I do say so myself) outburst. Lupin was a strong character that had developed throughout the entire year he taught at Hogwarts, so why was he cast aside so…weirdly. Ginny’s character was another that I thought was under developed. She was made to come across as very immature for most of the book and I failed to see what it was that attracted Harry to Ginny. Surely Hermione or Luna would’ve made a better match? I also didn’t quite understand how Snape redeemed himself. What has he done or said that made Dumbledore put that much trust in him. Some other unanswered questioned I had were, what happened to George Weasley? What happened to the Dursleys? What happened to the Ministry of Magic? Who was the new headmaster at Hogwarts? who endured a lot and had a lot of angst and pressure on him to be this “chosen one” but to me he just didn’t have a very likeable personality for a protagonist. He rarely joked and was so so moody and even ungrateful at times. I really do hope J.K.Rowling decides to write another book/series on Neville Longbottom. Despite my ramblings, I have to commend J.K. Rowling on what an amazing author she is. I can’t wait to do a HP movie marathon before I visit Harry Potter world, all the while that I wait for my Hogwarts letter. Should be any day now…. Have you read the books?What were your thoughts?